VIDEO: Shuler Hensley On Why High School Theatre Programs Matter And The Walking Dead - The Musical! Tony winning actor Shuler Hensley performs with students at the Georgia High School Musical Theatre Awards - the Shuler Awards - in 2015. ( Photo courtesy ArtsBridge Foundation). Tony award winning actor Shuler Hensley is the perfect namesake for the Georgia High School Musical Theatre Awards - otherwise known as the Shuler Awards. The Marietta native son played sports AND larger than life characters for musical productions in high school. While he went on to make a name for himself on stage and screen playing nefarious and monstrous characters (Jud Fry in the London and then Broadway revivals of “Oklahoma” for which he won a Tony and Frankenstein in the movie “Van Helsing” among others), he remains a champion of high school musical theater programs. 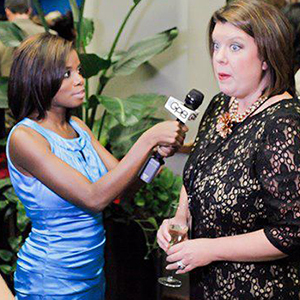 Hensley has supported the Shuler Awards since its inception nine years ago. Presented by the ArtsBridge Foundation, it’s the largest high school musical theatre competition in the country. Winners move onward to the National High School Musical Theatre Awards sponsored by the Broadway League. Nominations for the awards were revealed Tuesday, March 28 and the program itself airs Thursday, April 20 at 7 p.m. on GPB television and online.